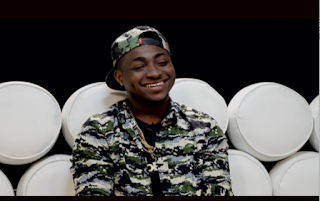 Davido (@iam_Davido) joins Ehis (@SpecialSlim) in the studio for this week’s Official Naija Top 10 discussing the music videos and tracks making it big on this week’s Nigerian music scene. Weighing in first place this week is “Asiko” by Darey featuring Ice Prince and Jozi. Davido’s “Gobe” climbs into the number 3 slot while former number one “Ezioku” by Lynxx slips to number 2. The only new entry in this week’s chart is Wande Coal who enters the chart at number 9 with “The Kick”. This week’s highest climbers are 2Face who continues his swift ride up the charts as “Dance Floor” moves to number 8 and Kcee with “Limpopo” – up two places at number 5. Every week the Official Naija Top 10 is put together by an elite panel of judges comprising of Nigerian broadcasters, music specialists and tastemakers, working with MTV Base to pick the winners and losers in the week’s chart. On the panel are Onos Ariyo (Bella Naija.com), DJ Humility (Rhythm FM), DJ Jimmy Jatt, DJ Xclusive (Cool FM), Big Time (Rhythm FM), DJ Caise (The Beat FM), Toolz (The Beat FM) and Osagie Alonge (Nigerian Entertainment Today). The thirteenth episode of the Official Naija Top 10 premiered on the MTV Base block on NTA on Friday 31 May, and can be seen on MTV Base (DStv Channel 322) on Tuesday 4 June @22.00 WAT, on AIT on Tuesday 4 June @ 21.30 WAT, and on STV on Thursday 6 June May @ 18.00 WAT. Next week’s chart will be revealed on Friday 7 June on NTA @ 23.30 WAT.